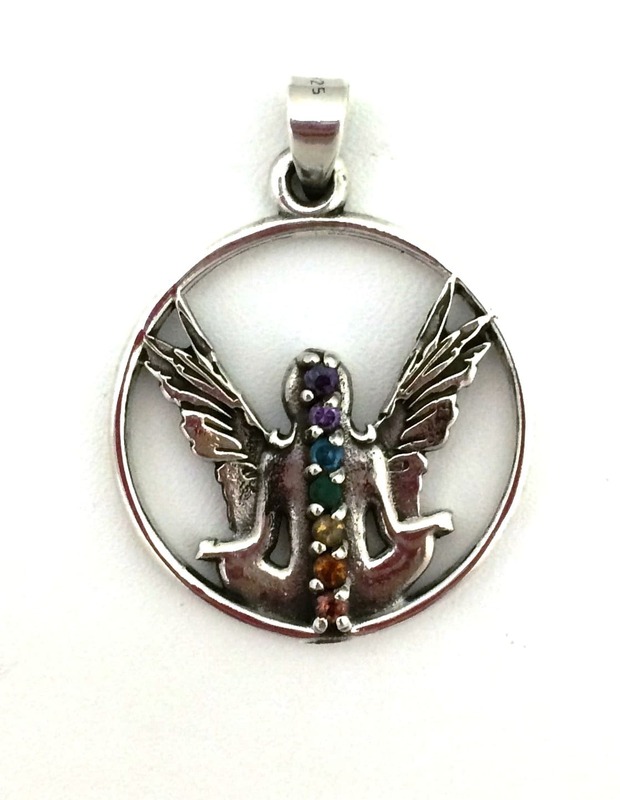 Wear this Crown Chakra Pendant to activate the part of you that is connected with the Divine. 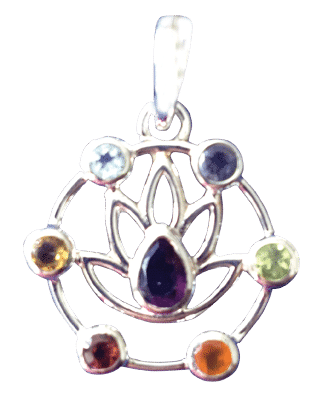 Wear this Crown Chakra Pendant to activate the part of you that is connected with the Divine. Tap into the miracle worker within you and realize your alignment with Divine Consciousness. Activate your inner sparkle and remember your amazing gifts and your divinity! 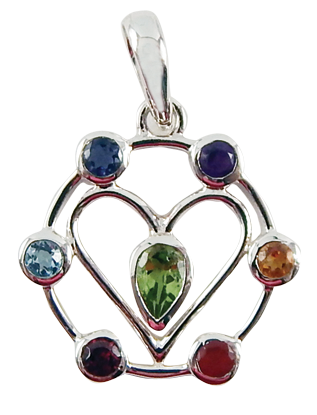 925 Sterling Silver Pendant with real stones just under 1″ diameter.